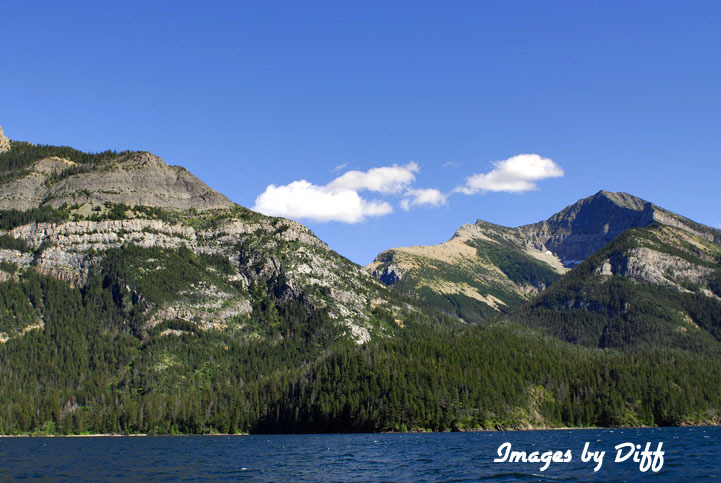 click photo to enlarge Waterton Lakes National Park is a national park located in the southwest corner of Alberta, Canada, and borders Glacier National Park in Montana, USA. 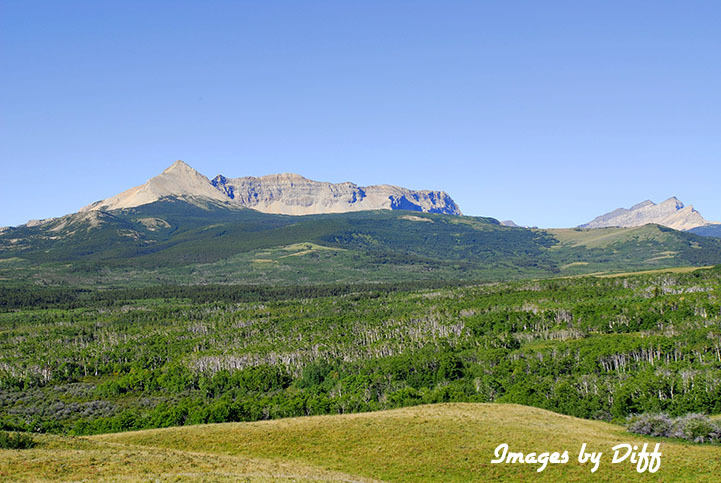 Waterton was Canada's fourth national park, formed in 1895 and named after Waterton Lake. 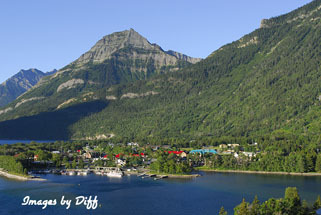 Waterton is open all year round but much of the town shuts down for the winter. click photo to enlarge In 1932 Waterton and Glacier joined to form Waterton-Glacier International Peace Park. 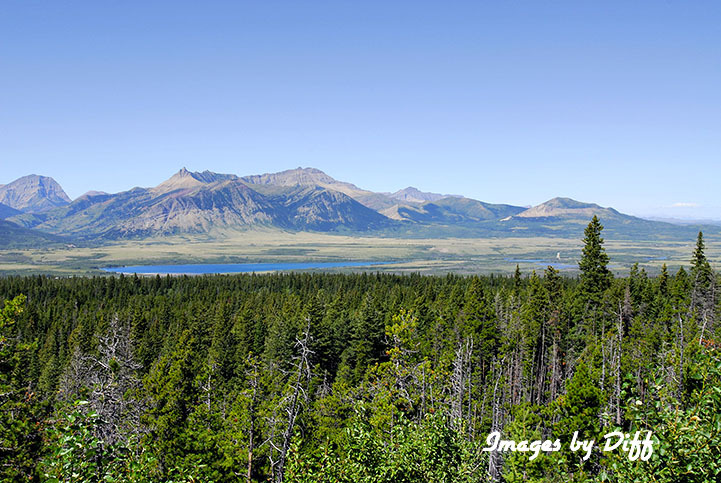 The park has a lot of diversity for its size, the main highlight is the Waterton lakes—the deepest in the Canadian Rockies—overlooked by the historic Prince of Wales Hotel National Historic Site. 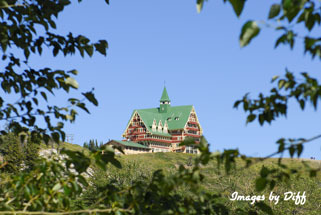 We spent the night in the Prince of Whales Hotel. click photo to enlarge We took a boat ride on Waterton Lake. 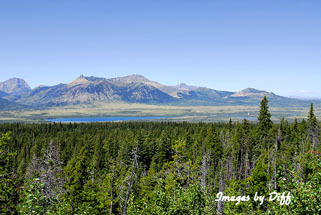 On that ride you actually cross the border between Canada and the US but you don't need your passport. 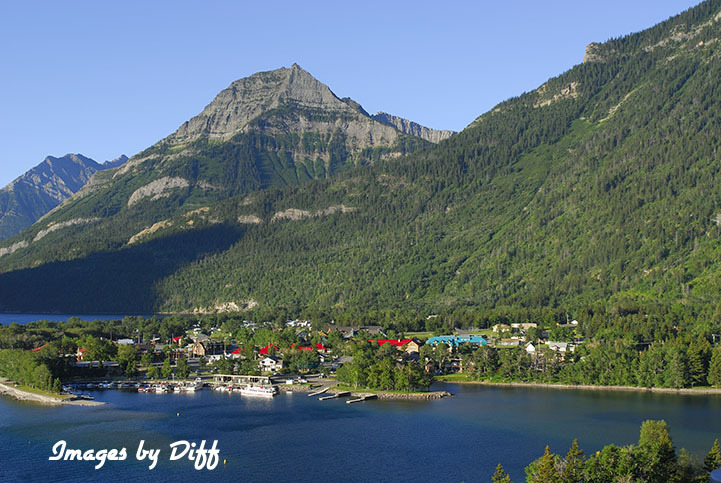 The scenery in this area is stunningly pretty and reminded us both of Switzerland..